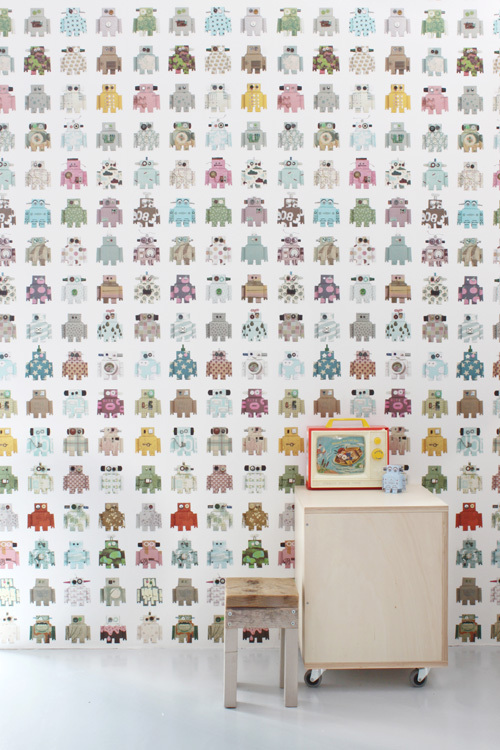 I LOVE this robot wallpaper design by Dutch design label Studio Ditte. It makes me want to redo my son’s room right now! After a journey through containers with small hardware parts and disassembling appliances, Studio Ditte brings a unique robot wallpaper. The army of friendly robots is made from old prints and decorated with small finds. The robot wallpaper is a blend of the nostalgic and the digital age. 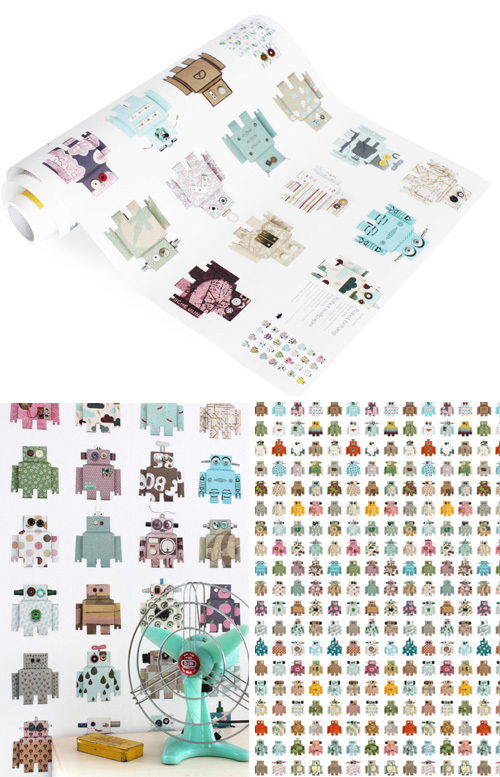 This super cool wallpaper is available here (135 EUR per roll). that would make an awesome accent wall in a little boy’s room. and that little sliding plastic toy got me all nostalgic. I had the exact same toy as a kid and still remember it vividly! tooooo cute! if we did not have a wallpaper for Axel yet I would totally look into this one!